Venice (North East Italy), is just across the water. The stamp is 5,60 Dinar, the currency at the time. It is now the Croatian Kuna. Auntie Joyce is my Godmother, Bert was her second husband. She is a ‘courtesy’ aunt; an old friend of my parents. Her first husband is my Godfather. 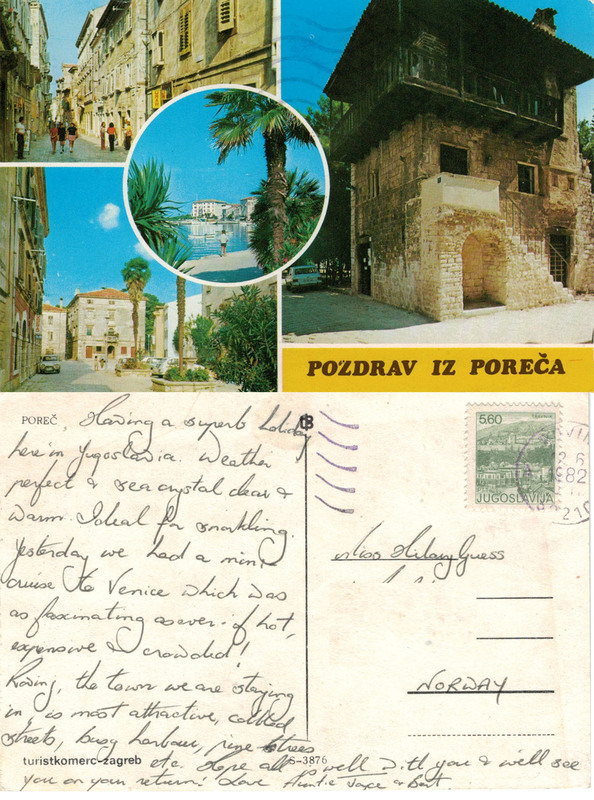 Auntie Joyce enjoyed several holidays in Yugoslavia, with both husbands. The card was sent to Norway, towards the end of my time there, hence the reference to my imminent return. Although I have not seen Auntie Joyce for many years, we still exchange news in Christmas cards and via my parents. This is a different Anne from the one previously featured as indicated by the greeting – my nickname from school. As ever, when holidaying in the UK the weather is of interest – a ‘summer’ holiday can often include several days of rain! The glass works mentioned was established 10 years earlier and continues to produce beautiful hand blown glass. 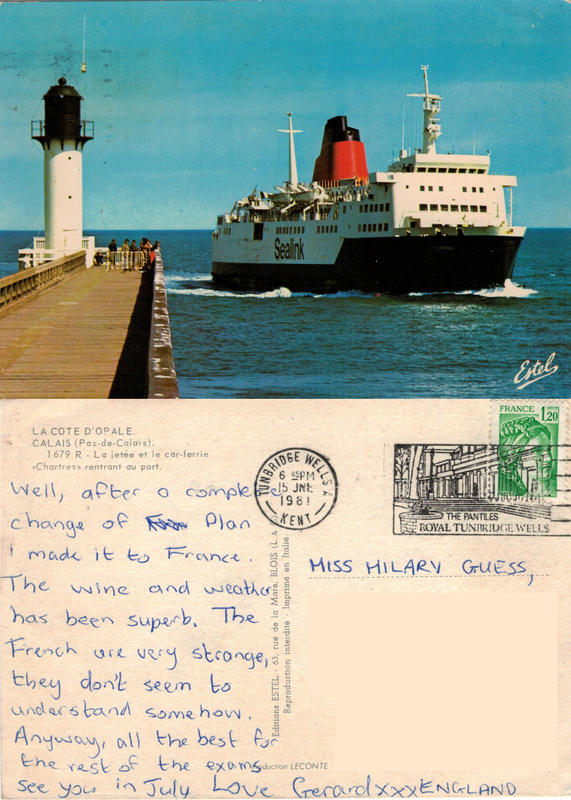 The postmark date is Portsmouth & Isle of Wight, 11 Aug 1982 and the stamp is a second class 12½p for a small postcard. 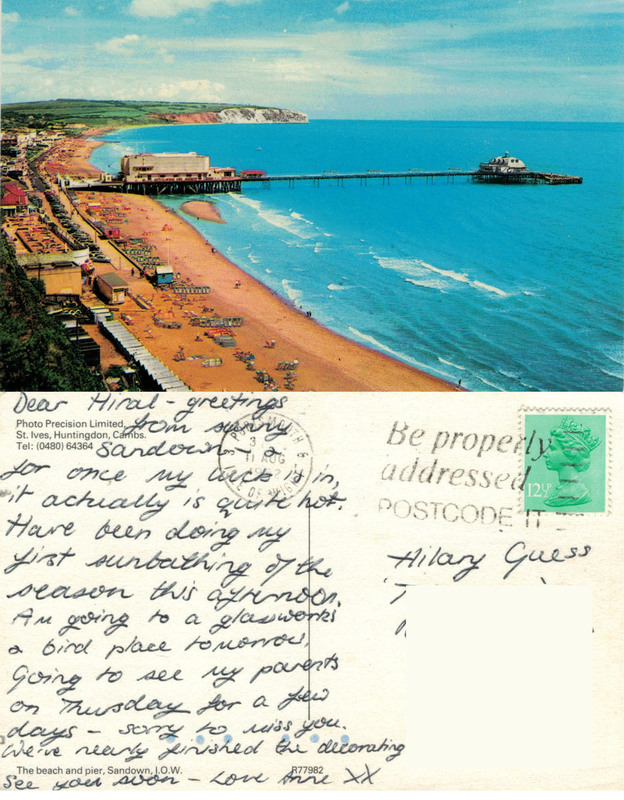 The other postmark says ‘Be properly addressed POSTCODE IT’. 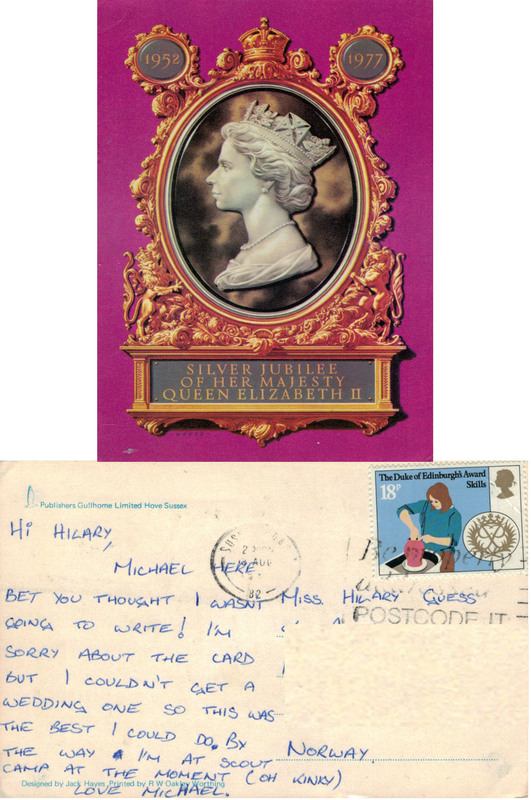 This card does not include the postcode, it was still delivered; it was now eight years after postcodes were supposedly obligatory. Anne and I were in the same friendship group at senior school, along with Sara, and we all went on to the same 6th form further education college. I selfishly abandoned my friends, in favour of the Canadian boyfriend, and was lucky that they tolerated and forgave my behaviour. Anne is clever and articulate; she wrote long, chatty, detailed letters to me in Norway – the writing often spanning several days. I am still in touch with Anne, via Christmas cards and emails, but we have not met up for some years now.